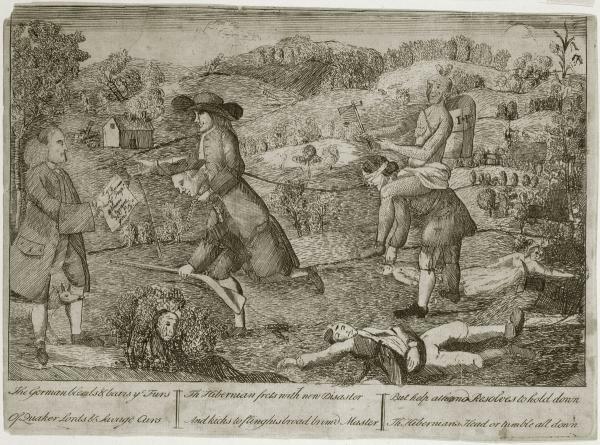 The Paxton Boys Massacre sparked a pamphlet war in Pennsylvania between those who opposed and supported their actions. Benjamin Franklin wrote and published an anti-Paxton Boys tract [inset in upper-left hand corner] in 1764. In this political cartoon, one of Pennsylvania's first, an Indian and Quaker ride on the backs of German and Irish settlers as a home burns in the background and a woman and children lay dead at their feet.